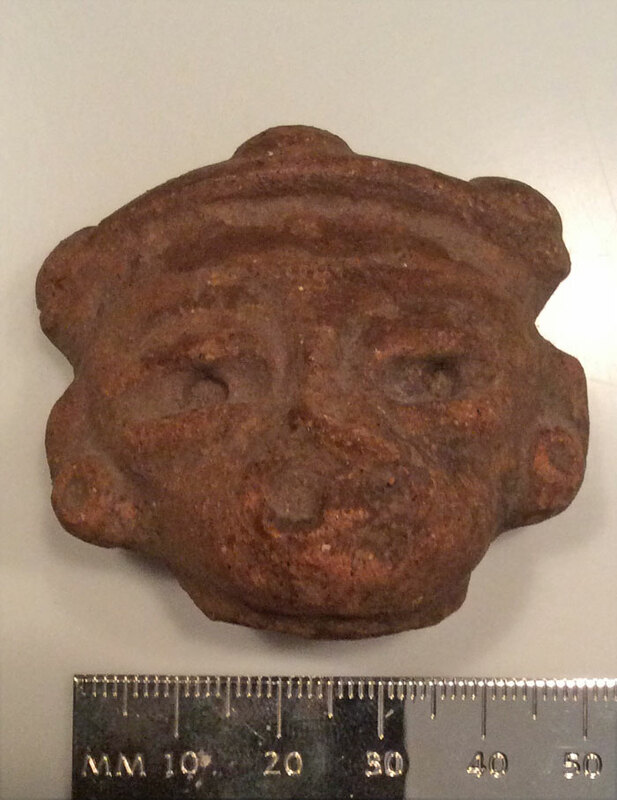 A: From the Pre-Columbian era of Latin America, this little head is not a mask, but served some other purpose. 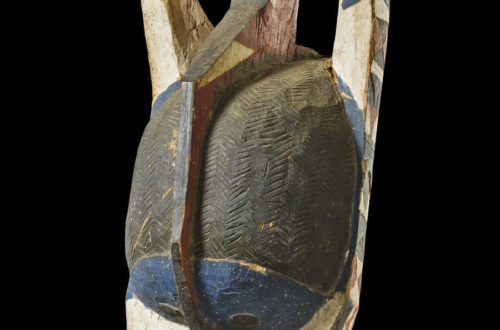 There were also full-size masks made of clay or stone from the same cultures that could be worn for ceremony or, in some cases, to decorate a corpse. 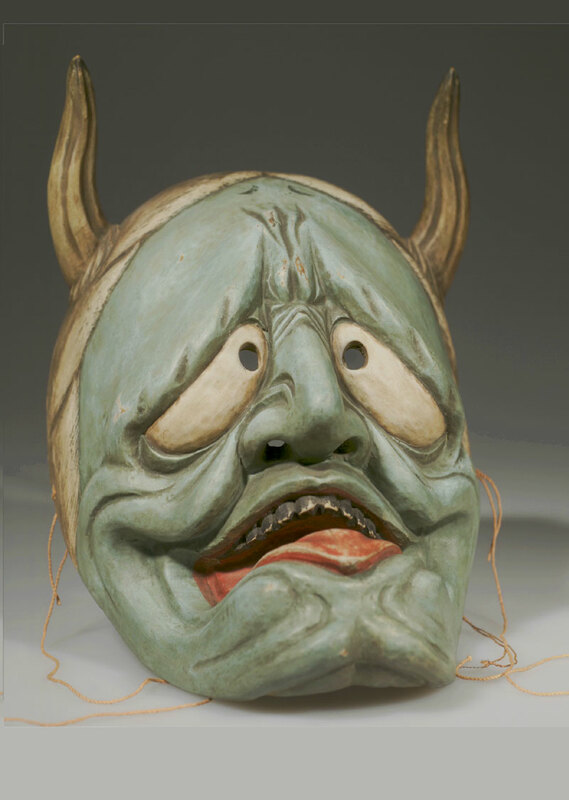 These larger, real masks are highly sought after by collectors. Occasionally they turn up on the market. But do be careful about their authenticity. 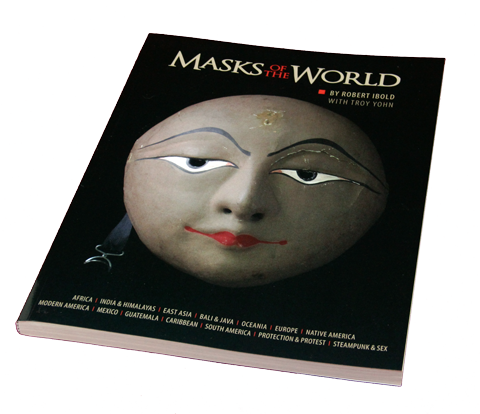 Masks, along with many other artifacts, are frequently reproduced for the market. 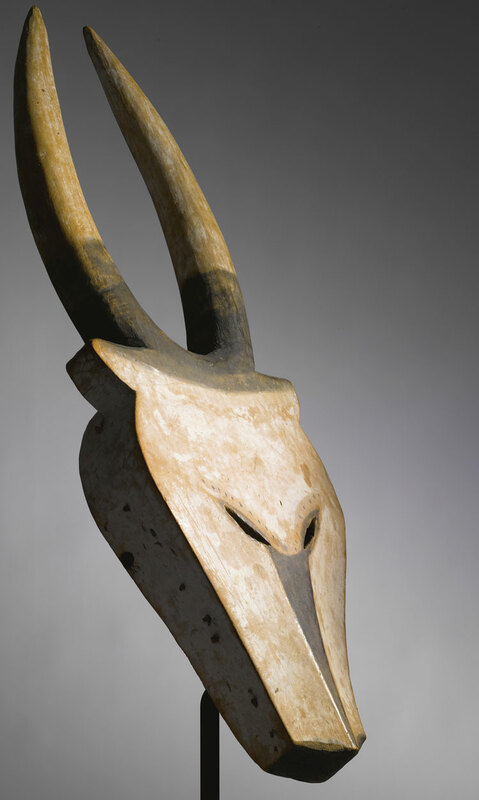 Some of them are so convincing that only a specialist can tell them from a genuine artifact. 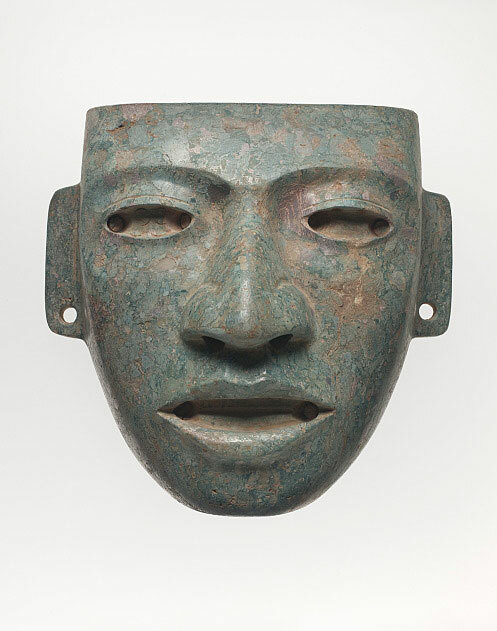 The first photo is of a large, carved stone mask used for burial purposes in Teotihuacan, Mexico between 250-450 CE. 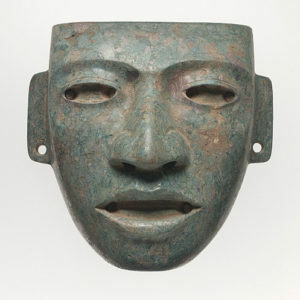 It predates the Aztec empire. It measures 8.5 inches and would sell for six figures. 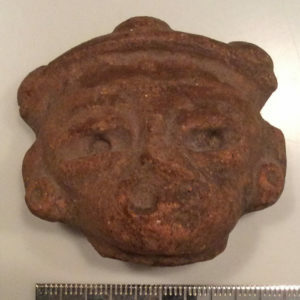 That little clay piece comes from a different time and place in Mexico. 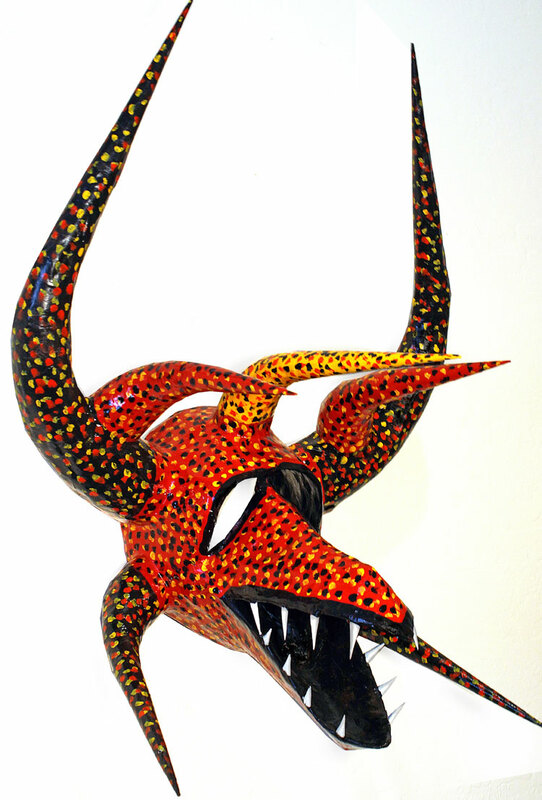 These little guys have always sold well to collectors and tourists. 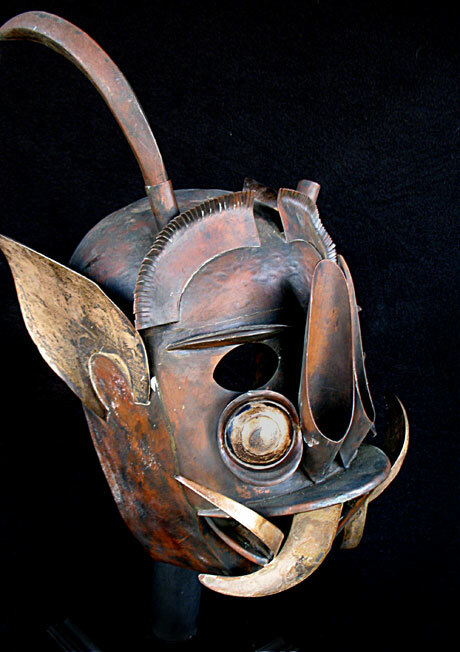 Brandon must go to a Pre-Columbian specialist for his appraisal of the small mask.